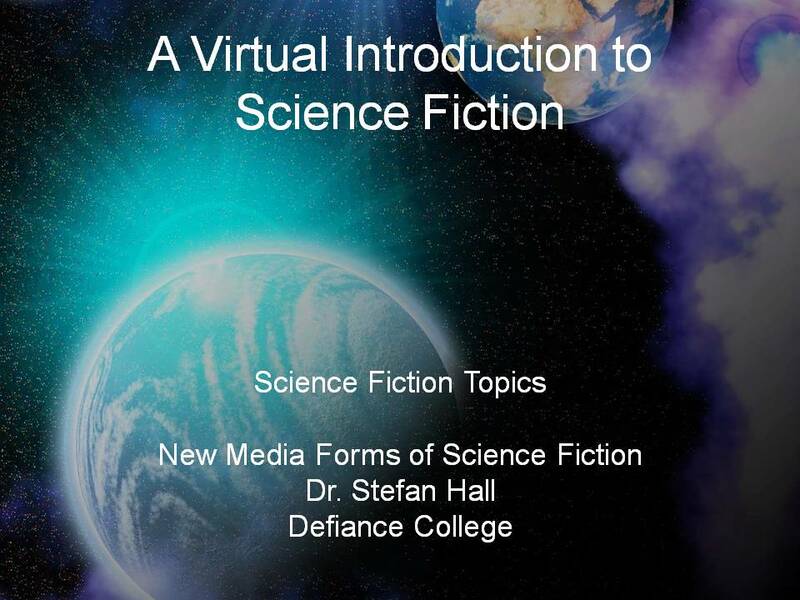 The introductory essay “New Media and Science Fiction” by Dr. Stefan Hall will soon be available for download here. Hall, Stefan. “New Media and Science Fiction”. Video Lecture. A Virtual Introduction to Science Fiction. Ed. Lars Schmeink. Hall, Stefan. “New Media and Science Fiction”. A Virtual Introduction to Science Fiction. Ed. Lars Schmeink. Hall, Stefan and Lars Schmeink. “New Media and Science Fiction”. Web Page. A Virtual Introduction to Science Fiction. Ed. Lars Schmeink. Web.